Apple has snapped up the company behind personal assistant iPhone app Cue, which shut its doors earlier this week. The key driving force behind Apple's buy is likely to be Google Now as, other than Siri, Apple doesn't really offer anything that can truly compete with Google's data aggregation service. A better personalised search is just what the iPhone needs. According to a tipster speaking to Apple Insider, the deal was to go down between $35 million and $45 million, although that figure was then raised with TechCrunch claiming it to be in the $50 million to $60 million region. Apple's stance on this matter is the usual statement: "Apple buys smaller technology companies from time to time, and we generally do not discuss our purpose or plans." This obviously isn't confirmation, but it's pretty close, and the same response we got when Apple bought Match.tv earlier this year. Cue worked by bringing together all your daily plans and drawing on data from contacts and emails to create a daily agenda. The service, which began life as search startup Greplin, announced earlier this week that the service would be saying goodbye. Now we know where it's headed. In the market for an iPhone? 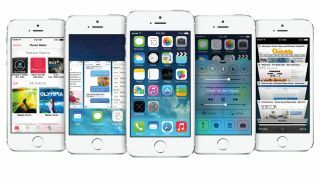 Read our reviews of the iPhone 5S and iPhone 5C.